Advanced Micro Devices has unveiled its next generation smaller and power-efficient computer chip and a graphics processor, aiming at bigger rivals Intel and Nvidia. 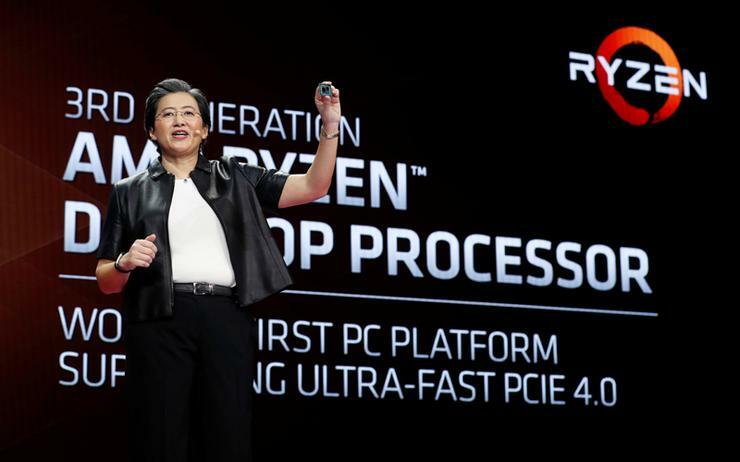 CEO Lisa Su, during a keynote address at the ongoing Consumer Electronics Show (CES) in Las Vegas, gave a preview of AMD's third-generation Ryzen CPU chips for desktop users. The Ryzen CPU chips will be launched in the middle of this year and will compete with Intel's PC processors. AMD will start shipping its Radeon VII (seven) graphics chips, which compete with Nvidia's gaming chips, from 7 February and the next generation of EPYC server chips in mid-2019, Su said. All the three chips are based on AMD's partners' new 7nm manufacturing technology that packs more transistors on smaller chips and can boost performance at lower power. AMD's longtime manufacturing partner Global Foundries last year said it would quit trying to develop such advanced manufacturing techniques on its own, and AMD said it would move all of its 7-nanometre production to Taiwan Semiconductor Manufacturing, which analysts also believe is making 7nm chips for Apple. AMD's EPYC server chips and the Ryzen CPU chips are based on Zen 2 architecture, an advancement over its Zen chips that was launched in 2017, establishing the chipmaker as an equal, if not better than Intel in terms of chip performance, according to many tech websites. For Intel, which has faced production delays for its 10nm-based chips, this could mean a loss of market share to AMD, analysts have said. Intel has said it expects to ship 10nm PC chips later this year and 10nm server chips early next year. During the keynote, Su showed that Ryzen III consumed 30 per cent less power than Intel's Core i9 CPU chip. Intel, the world's biggest maker of computing chips for personal computers and data centres, has been a leader in manufacturing the tiniest chips so far but recently lost its title to Taiwan Semiconductor. Su also announced that Alphabet Inc's Google was partnering to use AMD's Radeon graphics chips on its recently announced video game streaming service, Project Stream.